In the home environment, all numbers are numerically interpret and all calculations executed numerically. 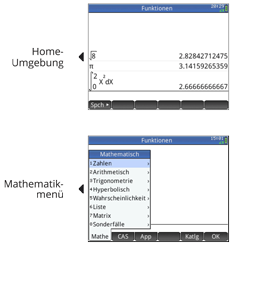 For the calculations both the "text book" input mode and the HP-typical "RPN" input mode are available. Over one hundred mathematical functions are already available directly from the keyboard.